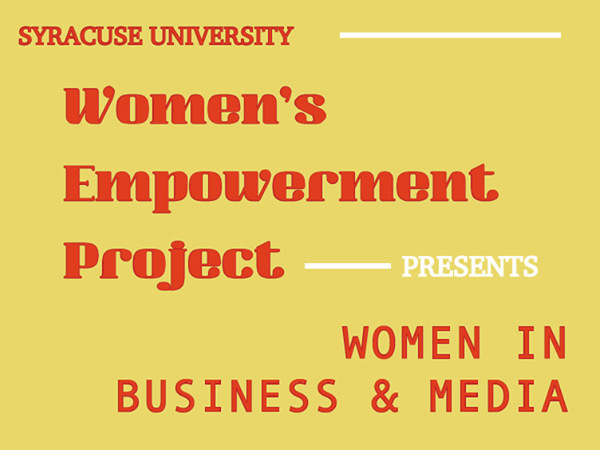 The Women’s Empowerment Project presents the “Women in Business and Media” panel April 19, 3:30 p.m., in 500 Hall of Languages. Panelists will discuss the importance of gender and racial diversity in business and media. Susie Arons, managing director at Rubenstein PR. Panelists will also give an overview of their career path, which ultimately led to their current leadership positions. Join us to listen in, then network with speakers after the panel. A short reception with Insomnia Cookies will offer a chance to mingle. Ambassadors from Amazon Prime will be sponsoring food, beverages and giveaways.